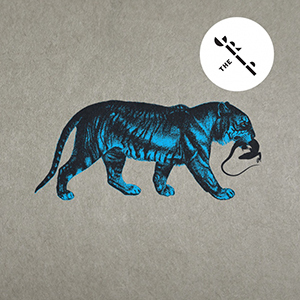 EVERY NOW AND THEN, an album comes along which blows my jazz socks off – one of those I can’t help but play on loop and identify as being present in my ‘best of the year’ summations. It immediately demands my attention, sends me into rapture, produces involuntary smiles and requires me to tell the world about it! My most recent experience of this has to be Mark Lockheart’s ‘Ellington in Anticipation’. Released earlier this year (2013), the project was initially conceived for Trinity Laban Conservatoire students. Inspired by Lockheart’s love of Ellington’s music (introduced to him by his father), it draws together pieces by or associated with ‘the Duke’ (including those of Billy Strayhorn and Victor Herbert) and intersperses them with a number of his own superb compositions. Knowing these jazz standards so well, Mark Lockheart clearly has the authority to (respectfully) deconstruct and reconstruct them into the most fascinating reinterpretations. Lockheart’s credentials as saxophonist and writer need little introduction: Loose Tubes, Perfect Houseplants, Polar Bear and his own excellent albums such as ‘In Deep’ and (with NDR Big Band) ‘Days Like These’. Numerous recent ventures include Kenny Wheeler’s fine ‘Mirrors’ album, Colin Towns’ crossover band ‘Blue Touch Paper’ and Dave Stapleton’s new ‘Slowly Rolling Camera’ project. 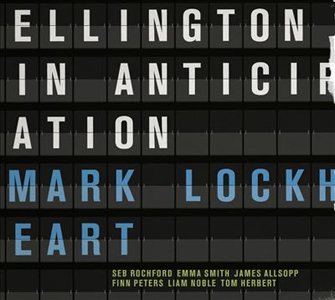 The remarkable, full-sounding septet able to realise the creative nature of this recording, with Lockheart on tenor, comprises Finn Peters (alto sax and flute), James Allsopp (clarinet and bass clarinet), Emma Smith (violin), Liam Noble (piano), Tom Herbert (bass) and Seb Rochford (drums). So what is it that pushes this album onto a significantly higher plane? Well, put simply: great musicianship, reinvention, diversity, beauty, humour and the courage to push the limits in order to deliver something new and exciting. Far from being straightahead jazz, every one of these eleven gems is crafted and improvised in extraordinary detail by Lockheart and his musicians. For example, the familiar swing of Ellington’s It Don’t Mean a Thing is deliciously transformed in triple time, whilst Come Sunday lays back perhaps even further than the sacred intent of the original, though also introducing a contemporarily-scored, slightly uneasy episode to great effect. Mark Lockheart’s composition My Caravan takes on the modal vamp concept of the popular original (‘Caravan’), allowing all players their improvisatory freedom, and only quoting Ellington’s distinctive melody towards the close. Jungle Lady is another piece of Lockheart brilliance, cleverly referencing Satin Doll. Defined by Seb Rochford’s percussion, the beautiful tone of Emma Smith’s violin and the richness of Allsopp’s bass clarinet, it displays some pretty tight ensemble scoring… including glorious elephantine calls! A clever combination of Liam Noble’s piano with drums and reeds provide particularly vivid, fast-moving imagery in Lockheart’s interpretation of Billy Strayhorn’s classic Take the A Train (often incorrectly attributed to Ellington, being his ‘signature tune’). It’s an utter joy – and great fun – to hear snippets of the melody coming and going, as if trying to find a clear view beyond the motion blurring – and the reshaped riff is a lovely, quirky twist! Lockheart’s tenor journeys in and out of destinations, Allsopp detouring with mischievous bass clarinet, before finally easing to a halt. And so the album continues, the playful violin of Azure and blithe modern rhythms of Mood Indigo never failing to charm. Lockheart provides two more sublime originals – a pensive Beautiful Man and the Roaring ’20s ‘flapping’ of Uptown with appropriate, elegant fiddle lead. Victor Herbert’s limpid Indian Summer closes – the held-back, teardrop piano of Noble so entrancing. The language of jazz is constantly being reinvented and developed, thanks to the consummate skill of artists such as Mark Lockheart and his colleagues – which means that the best of its historical legacy is capable of being preserved, yet sensitively reimagined for the present age, as well as providing inspiration for new works. Here, Lockheart eloquently and spectacularly displays that achievement in an album I will return to again and again.